We're hosting an night of horror which will have your skin crawling. Every camper’s worst nightmare came true in Finland's Lake Bodom in 1960 when four teenagers were stabbed to death while sleeping in their tent. As the years passed and the case grew cold, the unsolved mystery turned into an urban legend, a creepy campfire story passed from generation to generation. 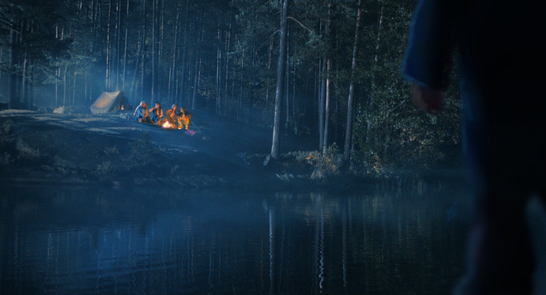 Now, a group of teenagers arrives at the same campsite, hoping to solve the murder by reconstructing it minute by minute. As night falls, it turns out not all of them are there to play. Unfortunately our makeshift camp experience is no longer taking place. On the upside, we'll be giving away a free can of Pistonhead lager to everyone 18+ visiting the cinema for this screening. For any queries don’t hesitate to give our box office a call on 01391 667080. Scotland 1963. Scared and on the run Robert and Gene lose the Police at the Edinburgh Festival. They arrive at Garbhlach the most westerly point of Britain set up a tent and relax. However a supernatural entity watches and waits before it turns their dream into a nightmare. Dir Lars Klevberg.16 mins. Norway. Winner of Best Short at LA Horror competition 2015.